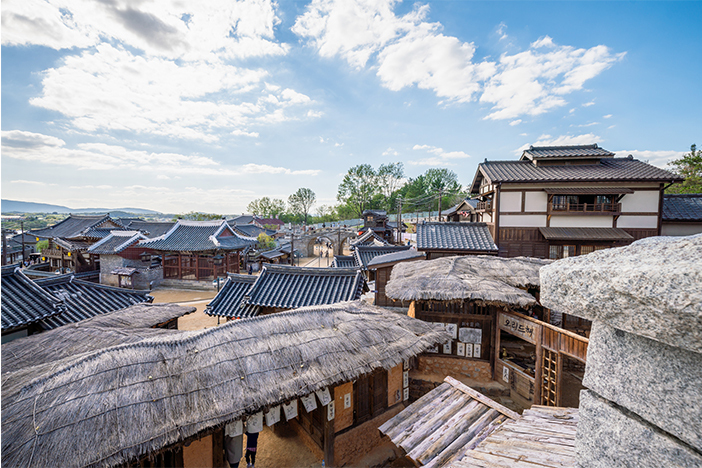 The background for the drama series, Mr. Sunshine, is based on the turmoil of early 20th century Hanseong (former name of Seoul). The main characters are Yu-jin, or Eugene, who was born as a servant but moved to America as a boy and became a US Navy officer, and Ae-sin, the youngest daughter of a nobleman, who volunteers to serve in a militia. Several scenes were filmed at Choganjeong Garden, including Ae-sin’s first appearance. This is also where she learned about the outside world by reading newspapers in secret from her grandfather. Later in the drama, Ae-sin took refuge here to deal with her sorrows after her separation from Eugene. 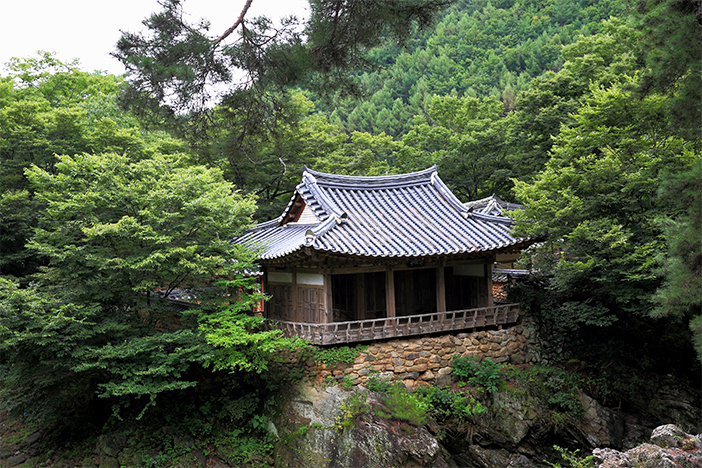 Located in Yecheon, Choganjeong Garden is a pavilion built in 1582. The original building was damaged due to several fires during and after the Japanese invasion in 1952 and was reconstructed in 1870. Choganjeong Garden is the perfect place to spend a peaceful time surrounded by a lush forest and running creek waters. 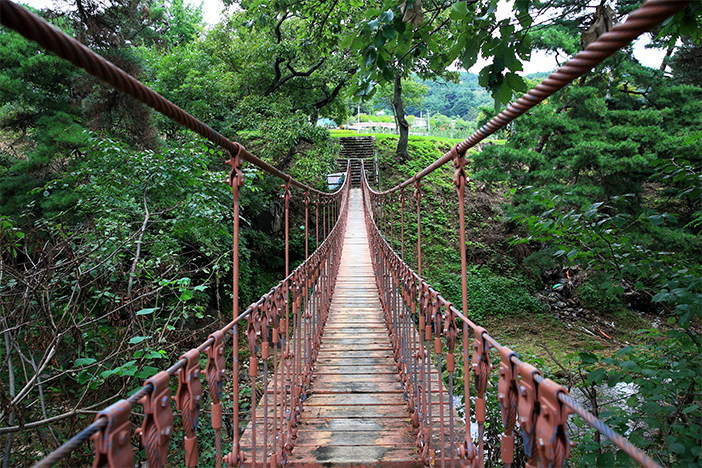 After the tour of Choganjeong Garden, slip out through the back and walk further to find a suspension bridge. 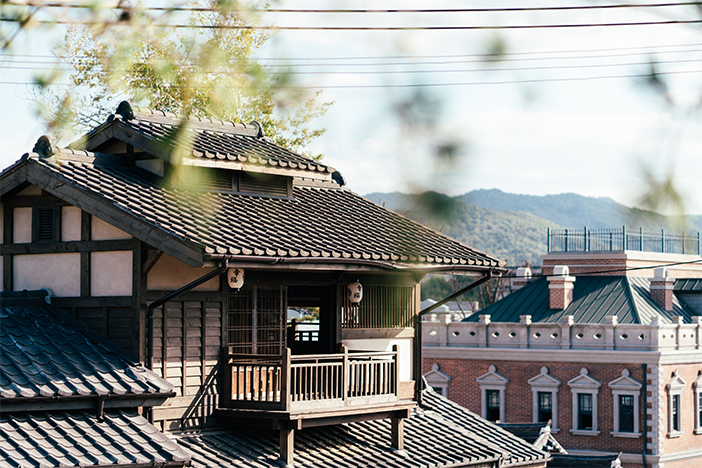 The true beauty of Choganjeong Garden can only be seen from this bridge, as the harmony of a traditional building nestled within the forest offers a picturesque sight. ☞ Directions: Take a taxi from Yecheon Intercity Bus Terminal for approx. 25 min. After encounter with Eugene, Ae-sin’s urge to learn English sparked and she decided to attend a school. The scenes of the school were filmed at Keimyung Hanhakchon Village located inside Keimyung University in Daegu. Keimyung Hanhakchon Village was established to commemorate Keimyung University’s 50th anniversary. 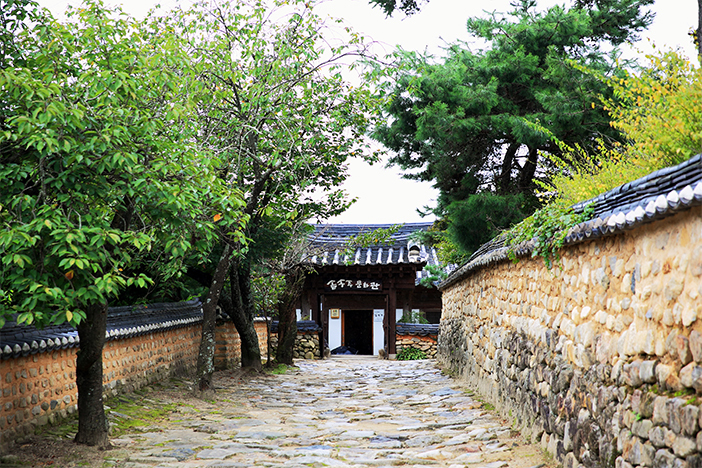 Known for its traditional hanok and charming garden, the village is even included in the Daegu City Tour course. Within the gates of Keimyung University, we recommend taking a tour of the university’s campus as well. 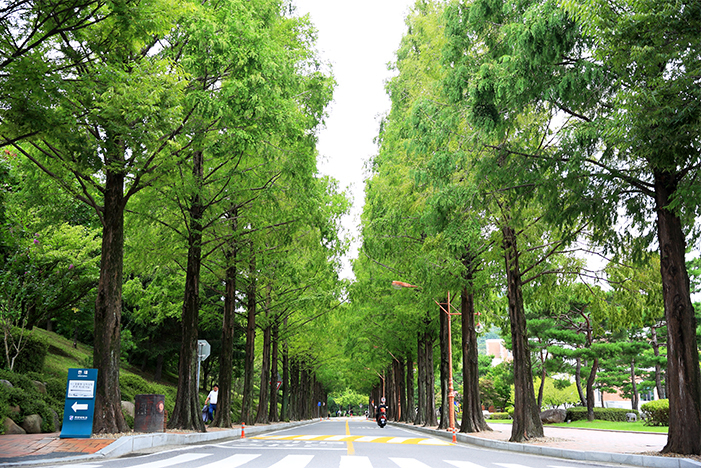 The campus is filled with aesthetic buildings and roads, in particular the impressive metasequoia road. The road offers a different sight with each season as the leaves change from vibrant green in summer to beautiful shades of autumn foliage in fall. Before Ae-sin’s debut in the militia, she went through firearms training in the mountains. These scenes were taken at Suseong-dong Valley in Inwangsan Mountain, an easily accessible mountain within Seoul. 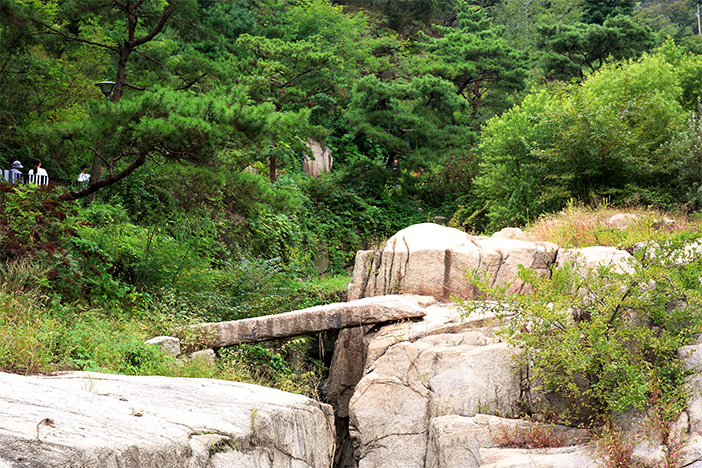 Suseong-dong Valley is one of the few places in Seoul where one can appreciate the sounds of running creek water and birds chirping within the tranquil forest. The enchanting scenery of Inwangsan Mountain often appeared in the artworks of Jeong Seon, a renowned artist of the Joseon Dynasty who was known for painting beautiful landscapes of Korea. Some of his artworks are on display in front of the valley. 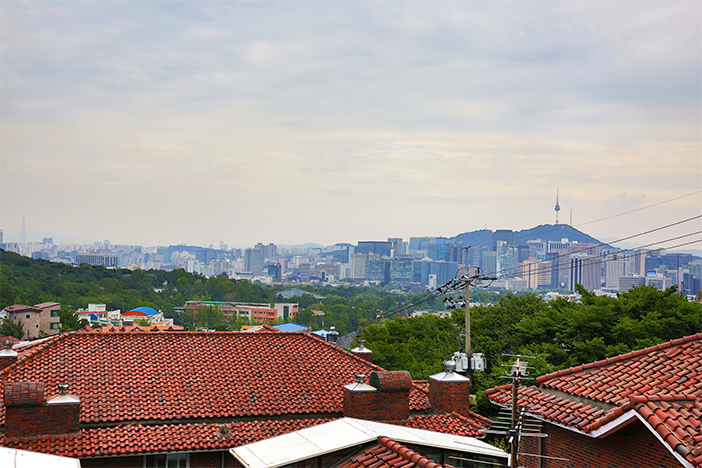 If you want to further explore the areas near the mountain, we recommend walking on the dulle-gil (walking trail) and taking in the cityscape of Seoul. Follow the path and it will take you to Yoon Dong-ju Literary House. As the name suggests, Yoon Dong-ju Literary House is a memorial center dedicated to the life and works of the late Korean poet Yoon Dong-ju. Known as Koreans’ most favorite poet, the works of Yoon Dong-ju expressed agony and grief from the loss of his beloved country during the Japanese administration. 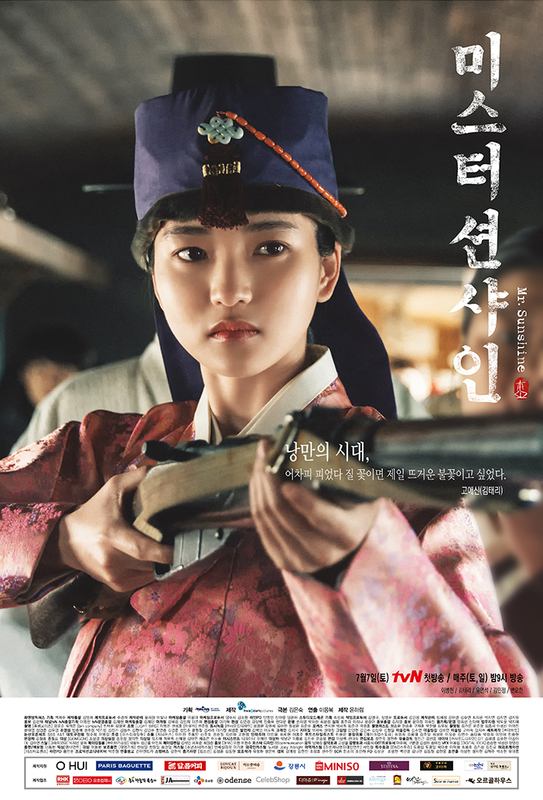 Most of the scenes from Mr. Sunshine were filmed at Sunshine Studio in Nonsan, which officially opened to the public on October 31. Visitors to Sunshine Studio can observe many of the buildings and structures that appeared in the drama, including Glory Hotel and Hongyegyo Bridge, as well as participate in experience activities. In addition, visitors can feel like the characters from Mr. Sunshine by renting outfits at the boutique, drinking gabé (an old term for coffee) at Glory Hotel’s second floor, and trying out the sponge cake from the bakery that appeared in the drama. Taking a step into the world of Mr. Sunshine is undoubtedly the best way to recapture the moments of the drama. ☞ Directions: Take a taxi from Yeonmudae Express Bus Terminal for approx. 10 min. Ildu Historic House in Hamyang was featured in the drama as Ae-sin’s home. 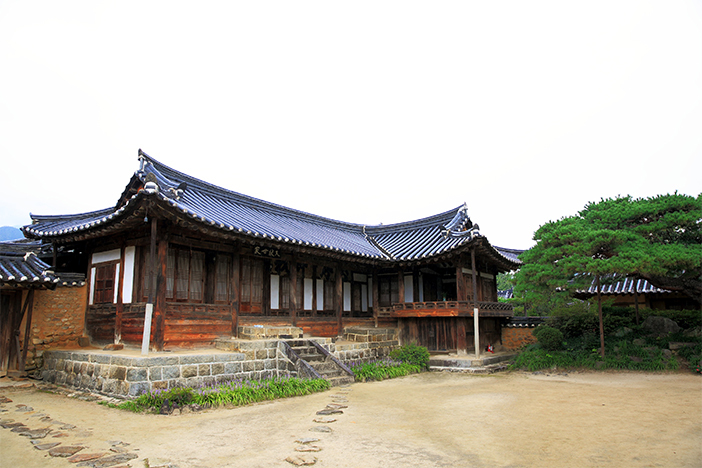 In real life, Ildu Historic House was the home of Joseon Period’s Confucian scholar, Jeong Yeo-chang. 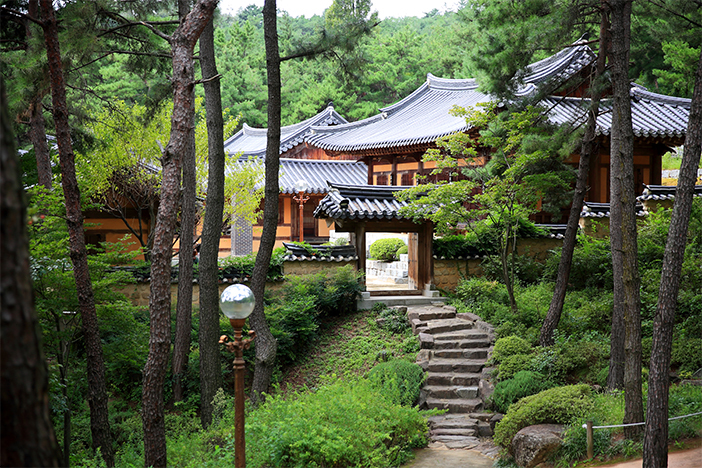 The house was named after the scholar’s pen name, “Ildu.” The scenery of the wooden building in harmony with the pine trees is an epitome of what you would expect of a house from the Joseon Period. Right next to Ildu Historic House is Solsongju Culture Center, where you can get a taste of solsongju, traditional liquor made using pine leaves and Jirisan Mountain’s fresh water. The center also offers resources related to the liquor’s history and making process. The characteristic of solsongju is its mild yet distinct pine aroma, which have even attracted several presidents of the past. Visitors can see a display of the previous presidents who visited the center inside the culture hall building. ☞ Directions: Take a taxi from Hamyang Intercity Bus Terminal for approx. 15 min. This column was last updated in November 2018, and therefore information may differ from what is presented here. We advise you to check details from the official websites before visiting.